Sign up and receive an instant discount! Our selection of products at all the airports changes all the time. The prices on this page are meant as information only, and we recommend using the quote form above in order to obtain the most up-to-date prices for your travel dates. We recommend booking in advance to get the best price for airport parking. If you would like to discuss any of the prices on this site please either call us on 0330 1133 200 or email us at help@skyparkingservices.co.uk. 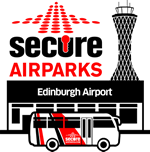 The short stay car park is located right next to the terminal and again offers a secure car park. It is less than a minute walk to the check in desks via the fasttrack bridge at level 2. This is supplied as part of the long stay parking and operated between the car park and the terminal. After you have parked your car, head to one of the bus stops, the shuttle bus come around every 5-8 mins and takes around that time to get to the terminal too. The meet and greet service includes being met directly at the airport terminal. An operator will assess the car before you hand over your keys, they will then drive it to a secure car park for you which leaves you free to go straight to the check in desk. This is a great stress free way to start your holiday! With several providers of all the types of parking mentioned above, we stay up to date with the latest deals to bring you the lowest possible price. If you want to know more about discounts you can either join our discounts club or sign up to our newsletter and get cheap deals straight to your inbox every week.